Home » Blog » Surrogacy » Who is a Parent? Artificial Insemination, Lesbians and Sperm donors! The recent case of Parson and Anor and Masson  sheds some light on this very complex area of family law. This is a case which went on appeal, and successfully overturned the primary Judge’s findings and decision that the biological father of the eldest child should not be legally recognised as the father of the eldest child. 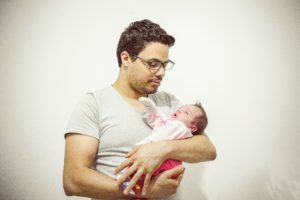 The Family Court of Appeal found that biology alone does not determine who is a parent and further the intention to parent a child does not make them a parent. 2 children are born with artificial insemination. The first appellant is the biological and birth mother of both the children. The second appellant is a parent of the youngest child under the Family Law Act. The respondent is the sperm donor of the eldest child. The first and second appellants want to relocate to New Zealand with the two children, who were aged 10 and nine. The respondent was the children to remain in Australia and wishes to continue to spend regular time with them. the children live with the appellants but have spent time with the respondent who is the eldest child’s sperm donor. Both the children call him “Daddy” and he is registered on the birth certificate as the father of the eldest child. the identity of the second child’s biological father is unknown, however the second appellants is shown to be her other parent on the birth certificate. The husband is presumed to be the father of any child born as a result of the pregnancy even if you did not provide any or all of the sperm, but only if he consented to the procedure and the woman is presumed to be the mother of any child as a result of the pregnancy even if she did not provide the ovum. When a woman who is married to or who is the de facto partner of another woman has undergone an artificial procedure and she becomes pregnant, the other woman is presumed to be the parent of any child born as a result of the pregnancy, but only if the other woman consented to the procedure. If a woman (whether married or unmarried) becomes pregnant by means of artificial insemination using any sperm obtained from a man who is not her husband, that man is not the father of any child born from the pregnancy. Any of the presumptions, arising above, are irrebuttable, this means they cannot be challenged or varied or changed. If a child is born to a woman as a result of an artificial insemination procedure while the woman was married to, or a de facto partner of another person and eitherthe woman and the other intended parent consented to the carrying out of the procedure or under a Commonwealth or State or Territory law the child is a child of the woman and the other intended parent and if a person other than the woman and the other intended parent provided genetic material, the child is not the child of that person. The Court of Appeal found in this case, that the biological father was not a parent under the Family Law Act or the New South Wales Act. The fact that, the father had intentions of being a potential parent did not make him a legal parent. Further, it is clear that the law only considers two people and not three or more to be parents of a child. This can be seen by the use of the word both of the child’s parents throughout the Family Law Act. The Court of Appeal granted the mothers appeal and sent it back to a Judge other than Her Honour Judge Cleary for another hearing and determination. As can be seen, the issue of who is a parent when a child is conceived via artificial insemination is fraught with difficulties as the judiciary grapple with these complex and sensitive matters.